The U.S. federal statistical agencies provide critical economic data to the public and private sector, yet laws that restrict data sharing among these agencies constrain their ability to carry out their mission. As a result, agencies ask redundant questions in surveys and produce inconsistent data. Moreover, because of budget cuts, federal economic statistical agencies are failing to provide the kinds of data needed to understand the dynamics of the U.S. economy. One way to address these issues is to consolidate the federal economic statistical agencies. Specifically, the Bureau of Labor Statistics (BLS) should move from the Department of Labor to the Department of Commerce, where the Census Bureau and the Bureau of Economic Analysis (BEA) reside. This change would allow the agencies to more easily share data and coordinate their efforts, leading to better federal statistics, a reduced burden on the public, and a more efficient use of federal funds. The BLS, Census Bureau, and BEA all collect and analyze information that is vital to the U.S. economy. The BLS collects and analyzes data on quarterly wages, consumer spending, and imports and exports; the Census Bureau not only tracks the population, but also business sales, employment numbers, and payroll data through the Economic Census; and the BEA houses data on personal income, inflation, and gross domestic product. The first benefit of having these agencies all under the Department of Commerce would be higher-quality federal data. The agencies could more easily share data, which would reduce the amount of inconsistent information they release. For example, both the Census Bureau and BLS maintain different lists of U.S. businesses because it is illegal for them to share a single one. Under the same department, the agencies would also gain access to each other’s administrative and source data. The former is information the agencies originally collected for recordkeeping, but which can fill in informational gaps and provide insight into the effectiveness of surveys and data collection methods. The latter is the data agencies use to create their statistical products but may not publish. The agencies can use each other’s source data to inform their own analysis, which often relies on the statistics produced by one another. If the agencies were within the same department, they could also formalize standards for data collection and analysis, leading to a more coherent approach to federal statistics. For example, both the BEA and BLS track consumer spending. 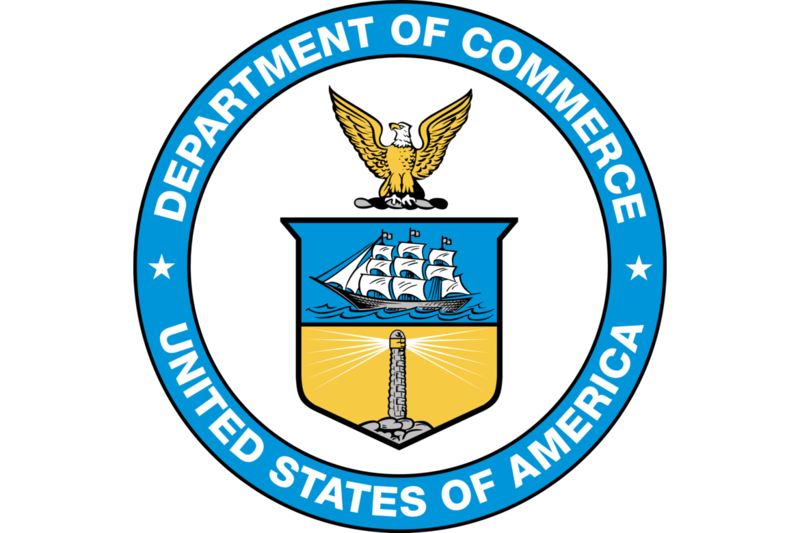 By combining the agencies under the Department of Commerce, the separate entities could more easily coordinate to ensure they collect and analyze the highest priority data relating to consumer spending. And because they can more easily share data, the agencies can reduce duplication in their surveys, such as the BLS’ Annual Refiling Survey and the Census Bureau’s Annual Business Survey both asking businesses about their number of employees and main business activity. Finally, by reducing duplication and respondent burden, the surveys could also ask a greater variety of questions to gain access to more economic indicators, including businesses’ innovation activity and more detailed state-level data on manufacturing. Even within the agencies themselves, there are efforts to consolidate surveys. For example, the BLS requested funding to explore ways to place questions from the Telephone Point of Purchase Survey (TPOPS), which collects data about where U.S. citizens spend money, into the Consumer Expenditure Survey, which provides data on the demographic characteristics of U.S. consumers and is collected by the Census Bureau on behalf of the BLS. This move would not only reduce respondent burden but also eliminate the overhead costs of keeping the TPOPS as a stand-alone survey. Eliminating inefficient spending is important because Congress has underfunded the U.S. federal statistical system. For example, the budget for the BLS has decreased in real dollars since 2010. In addition, programs such as the BLS’s Mass Layoff Statistics program, which tracked the effect of major layoffs, no longer exist due to budget cuts. Simultaneously, declining survey response rates have raised collection costs. These factors highlight the importance of sharing data instead of spending budget money on collecting information another federal agency already received. Several administrations have recognized the need for better data sharing among the federal statistical agencies, including the administrations of George H. W. Bush, Bill Clinton, and Barack Obama. The latter proposed combining the BLS, Census Bureau, and BEA under a new department. More recently, the Trump administration proposed moving the BLS into the Department of Commerce. In today’s data economy, statistical data is as important as ever, and it is time for Congress to finally pass corresponding legislation.